It’s not just the grown ups who get to have fun and enjoy all Bluecoat Sports has to offer, there’s plenty for the kids to do too! From 3 months to 15 years and everything in between, there are tons of courses and classes for the children to get stuck in to and enjoy. We want to help them learn about the importance of being fit and healthy whilst having fun, building their confidence and improving their skills. If you’ve got a little fish in the family then they can come and splash in the swimming pool from just 3 months. Our parent and baby drop in sessions are for little ones aged 3 months to 2 years. Once they become more confident in the water then our Waterbabes classes are perfect for pre-school children, and you join in with this class too as it’s parents and carers in the water with them! Swimming is a fantastic form of exercise for kids, helping them build strong joints and bones while using the buoyancy of the water. 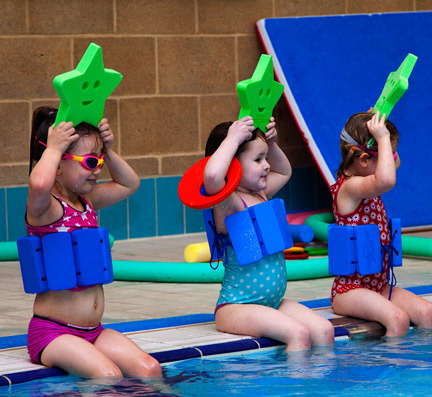 Whether your little fish is starting from scratch on one of our beginner courses, honing their skills in an advanced class or learning snorkelling on a holiday course, there’s plenty for them to enjoy whatever their current swimming level. We know kids love variety and keeping active so we have a jam packed timetable of junior classes and courses at Bluecoat Sports. From Mighty Minis balance and co-ordination building classes, to tennis and squash courses for beginners and advanced players, to football and trampolining, there’s something to capture every child’s imagination! Bluecoat Sports have a whole range of gym classes too! 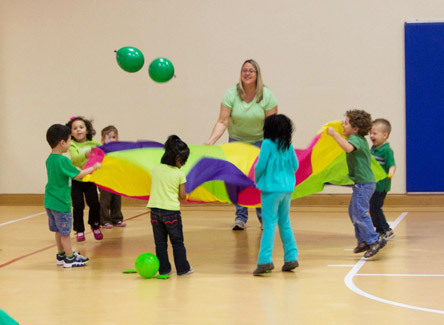 Your mini gymnasts can enjoy games and dance as well as learning to use the apparatus. If they’d rather bounce, then we have trampolining for ages three upwards and both gymnasts and trampolinists can enjoy working towards British Amateur Gymnastics Association (BAGA) badges and certificates with our team of friendly coaches that are all British Gymnastic qualified and as you’d expect, they are all DBS checked too. If your older children are asking to join you in the Fitness Suite then we have specialised classes for them in Fitness Suite. When it comes for you to take your turn in the Fitness Suite, have a dip in the pool or perhaps catch up with a friend for coffee, then our Bluecoats Crèche can look after your little one aged 3 months to 5 years. The Crèche is open Monday to Friday from 9.15am to 12pm so you can workout or relax, the choice is yours! Here at Bluecoat Sports we like to keep the kids busy and active all the time! We have a fantastic Kids Club which runs during school holidays, perfect for busy parents and carers who need childcare and those children who love to work off some energy! The Kids Club is jam packed with activities each age group will enjoy and we’ve included swimming with some of the sessions so they get to enjoy the pool as well. We’ll even take care of the birthday parties for you! Our trained team have plenty of experience putting on children’s parties to remember so you can have the perfect stress-free party; the kids get to work off some energy and you know they are all in safe hands. There’s plenty for even the most active small people to choose from including pool parties, disco dynamite and bouncy fun as well as the very popular sports sensation! If you’d like to discuss any of our kids classes, courses or birthday party packages, please get in touch and we’ll be very happy to help you.